Life happens. Maybe you got scheduled extra hours at work or maybe the kids got sick or maybe you had a social event you couldn’t skip. Either way you missed a day of writing, then two, then many. Before you knew it you were out of the writing groove and unsure of how to get back into things. Luckily there are some different things you can do to get back into writing. Don’t beat yourself up. Guilt about not writing or whether you’re any good kills productiveness. Don’t give into guilt. Get back into writing mode by reading. Pay attention to the words and mechanisms the author is using. Reading is a great teacher. Start writing. This is the most important step. Set a timer for 15 minutes and freewrite or write about a character in your WiP. This doesn’t have to go into your story, it’s just to get the words and ideas flowing. Journal about how you’re struggling or about your goals for this week. Just write. Give yourself permission to write badly and keep going. All your sentences seem clunky and awkward and that’s okay. Keep writing. You can always edit a bad page, you can’t edit a blank page. Do writing sprints. Write as much as you can for 10 minutes. Find a writing buddy to do challenge with. Take a break and then start again. Pretty soon the words will flow on their own. Sit down to write every day. Make writing a habit and establish a routine. Welcome back to writing. What tips do you have for getting back into the writing groove? Share below and happy writing! Follow me at Our Write Side and on Twitter for more writing tips and inspiration. Find me on Facebook for weekly prompts and stories. Hemingway, Jane Austen, and all the greats have such strong voices that can be recognized by anyone who loves them. So what is voice? Voice is our unique way of writing that characterizes our writing style. But how do we find and use our own voice? Everyone is born with their own innate and distinct voice, but it is continually developed throughout their writing life as it’s honed and perfected. Let’s look at a few ways to develop our voice. Read. A lot. You’ll discover what doesn’t work for you while learning what you can adapt to your own style. Learn from the greats. Write. A lot. 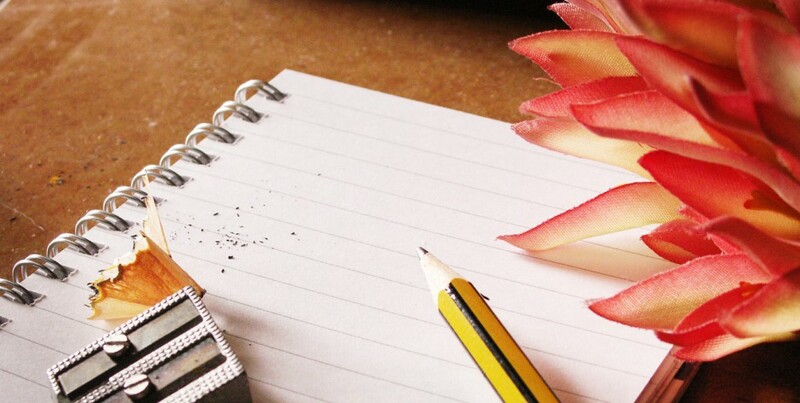 The more you write, the more you improve and refine your writing style. Freewrite for 15 to 20 minutes every day. Don’t edit yourself, just write and see your voice come out of the page. Fake it till you make it. Write with confidence, even if it’s false confidence at first. You want your writing to stand out so you can’t hem yourself in. Improve on both your strengths and weaknesses and let them shine. We all face doubts, but confidence let’s your voice come to life. Your voice is unique to you and your writing. Start honing it today for more effective and impactful writing. Whose voice do you admire? Whose do you hate? Share below and happy writing. Follow me at Our Write Side and on Twitter for more tips and inspiration and find me on Facebook for weekly prompts and stories. Alongside our main plot, subplots help to deepen our stories, either by contrasting or echoing the main plot and its themes. They can provide much needed relief or tension and help to shape your main plot. So what do we need to know about them? Let’s take a look. Like your main plot, subplots have a setup, rising action, a climax, and an ending that should be wrapped up before your main plot’s resolution. Subplots should also have a character who pursues a goal and faces obstacles and conflict because of that pursuit. Make your subplots strong and plan them beforehand, like you would do for your main plot. If your story is highly dramatic, use a comedic subplot to give readers a break. Use subplot to build tension and suspense, or to relieve it depending on your main plot. You can do this by delaying information about the main plot to add to the suspense or by taking the reader away from the main action as a break from the main plot’s tension. Subplots can echo the theme of the main plot, adding depth and complexity to your story. They can also test your character’s morality and strength as they try to achieve their goal. And subplots can be used for further characterization or to develop side characters. Don’t have too many subplots going on in one story. Up to two is a good rule to follow before your story and your readers get overwhelmed. The love interest is the most common subplot used, but showing character growth, giving the character flaws like addiction, or showing obstacles for the protagonist to overcome are a few other subplots you can use. These all help to further characterization and reader’s understanding of your characters. They can also add to the themes of your story. Which subplots do you like writing best? Share your comments below and, as always, happy writing! Follow me at Our Write Side and on Twitter for more writing tips and inspiration and find me on Facebook for weekly prompts and stories.